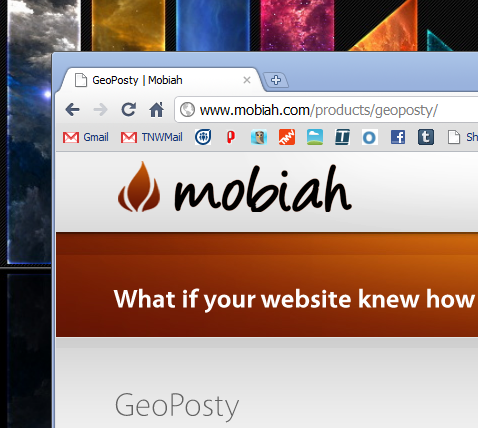 GeoPosty: A WordPress plugin that lets your site serve location-aware content. We’re all aware of the difficulties of having a webpage that, while serving a worldwide audience, still maintains its ability to have a local feel. In fact, we have that problem right here on The Next Web. With a readership that spans 20+ countries, it’s difficult to have one form of content and not another. The idea behind GeoPosty is that it uses the Quova database of IP addresses to find the locality of your site’s visitors. Once that has been done, you can choose to have content appear to that visitor which is specific to them. For instance, let’s say that you are an artisan bread maker. People visit your site from all around the world, but you also have a shop. GeoPosty makes it easy for you to offer coupons to your local customers, who are likely to use them in store, without compromising your site’s design for non-local users. Another use-case scenario would be if you’re hoping to expand your blog’s readership in a certain region. Visitors to your blog whose IP addresses correspond to that region could be offered special features such as local headlines or a survey asking them what would make the site more useful to them. Radius-Based Messaging: You pick a city, then decide how big the circle should be. Only individuals visiting your site from within that circle see the custom message. Location-Based Messaging: You name the place-city, state, country, zipcode, etc.-and only the places you name will be able to see the message. Redirects: GeoPosty’s search-engine approved redirect feature allows you to apply radius-based or location-based rules to a redirection process, so that instead of inserting dynamic content for some users, you can show them an entirely unique page. It is, indeed, a pretty amazing set of features. Putting some thought into how you can use GeoPosty might just drive you to marketing your site in ways that you had never before thought possible.